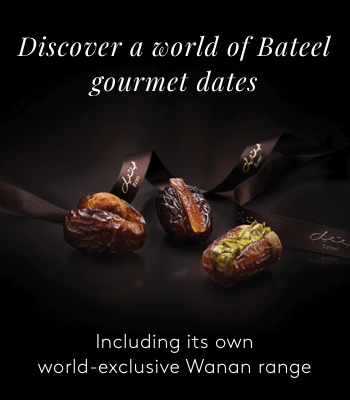 Welcome to www.bateel.com, the ultimate destination for indulgence and gifting. We strive to ensure our customers receive an effortless shopping experience and we hope that you enjoy all our website has to offer. 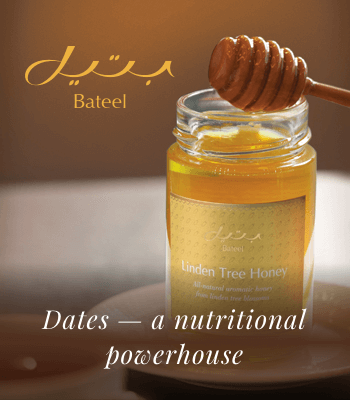 These Terms and Conditions, together with any and all other documents referred to herein, set out the terms under which Goods are sold by Bateel through this Website. Please read these Terms and Conditions carefully and ensure that you understand them before ordering any Goods from our Website. We may update these Policy from time to time without notice to you by posting the updated Policy on the Website, so we invite you to review this page periodically. When you place an Order through our Website, you are deemed to have consented to the latest version of the Terms and Conditions then posted on our Website. If a change in law means that we have to change our Website Terms after you have placed an Order but before it has been fulfilled, we are obliged to apply that change to your Order. In all other cases, the version posted at the time your Order was placed will apply. If you do not agree to comply with and be bound by these Terms and Conditions, you should not order Goods through our Website. Our Website, www.bateel.com (the "Website") is owned and operated by Bateel International LLC for its own benefit. Bateel International LLC is a limited liability company incorporated under the laws of the United Arab Emirates, with commercial license number 232469 and its registered office at PO Box 7634, Dubai, United Arab Emirates. enter into binding Orders with us. The Website is for your personal or gift use only and commercial usage is not permitted. We reserve the right to decline Orders where we suspect commercial usage. Access to our Website is free of charge. It is your responsibility to make any and all arrangements necessary in order to access our Website. Access to our Website is provided “as is” and on an “as available” basis. We may alter, suspend or discontinue our Website (or any part of it) at any time and without notice. We will not be liable to you in any way if our Website (or any part of it) is unavailable at any time and for any period. In order to take advantage of the features and services of Bateel Website, you can either utilise the Website on a “guest check-out" basis or create an Account and register your details with us. It is your ongoing responsibility to make sure that any personal and payment details you provide to us are valid, accurate and complete. You can update your details by accessing your account details in the top right of the page. Please keep your account details and password confidential and secure. Our customer service representatives will never ask you for your password. Your use of the Bateel Website and its contents does not grant you any copyright, design, trademark or other intellectual property rights relating to the Content (graphics, photographs, including all image rights, sounds, music, video, logos, icons audio or text on this Website), including our software, HTML or other code contained in the Website. All such Content including third party trademarks, designs, and related intellectual property rights mentioned or displayed on this Website is typically protected by national and international intellectual property laws and treaties. You are permitted to use the Content only as expressly authorized by us or the licensor of such Content. Any reproduction or redistribution of the Content is prohibited and may result in civil and criminal penalties. Without limiting the foregoing, linking, commercially exploiting, copying and use of the above listed materials on any other server, location or support for publication, reproduction or distribution is expressly prohibited. By providing a review you agree to be solely responsible for the content of all information you contribute. You also grant us a right to use any content you provide for our own purposes including republication in any form or media. Comments may be moderated and may not be displayed immediately but we do not commit to checking all content and will not be liable for third party posts. We reserve the right in our sole discretion not to publish or to remove any comment including those that we believe may be unlawful, defamatory, racist or libellous, incite hatred or violence, detrimental to people, institutions, religions or to people's privacy, which may cause harm to minors, is detrimental to the trade marks, patents and copyrighted content, contains personal data, improperly uses the medium for promoting and advertising businesses. This Website is available to the public and therefore information you consider confidential should not be posted to this Website. When you place an Order with us, then subject to your rights to cancel or return the items, you commit to buy the items described in that Order, at the price indicated including any delivery fees, taxes and duties where applicable. Orders are subject to our acceptance, which we may withhold in our sole discretion including for reasons such as ineligibility, inability to confirm payment authorization, suspected fraud, shipping restrictions and stock availability. Items in your Website cart are not reserved until your Order is paid for. The Website may contain or provide information regarding the availability of merchandise. This information can be used to estimate the likelihood that an item will be available immediately upon Order placement. Unfortunately, we cannot guarantee that an item stated to be available will actually be available right away, as inventory can change throughout the day. In rare cases, a product may be available when you place an Order but sold out by the time we process the Order. Should this happen, we will notify you. Receipt of your Order will be acknowledged by email. However, the Order is only confirmed when you receive a notification from us confirming dispatch of the relevant item(s). No party other than us has the authority to confirm acceptance of the Order. We make all reasonable efforts to ensure that all descriptions and graphical representations of Goods available from us correspond to the actual Goods. Please note, however, that Images of Goods and/or Descriptions of packaging are for illustrative purposes only. There may be slight variations in colour between the image of a product and the actual product sold due to differences in computer displays and lighting conditions. We neither represent nor warrant that Goods will be available. All Goods are made in the same environment as nuts so we cannot guarantee they are free from nut traces. Your Order has not yet been processed, then we will notify you as soon as possible and only process the order (or part thereof) once you have confirmed you are happy to buy at the correct price or otherwise cancel the Order (or part thereof) and refund your payment in full. Delivery charges are not included in the price of Goods on our Website. For more information on delivery charges, can be found in Shipping section. Delivery options and related charges will be presented to you as part of the order process. Payment for Goods and related delivery charges must always be made in advance and you will be prompted to pay during the order process. We currently accept the following tender types for Orders placed on our Website: VISA and MASTERCARD. By entering payment details onto our Website, you warrant that you are duly authorized to pay using those details. We reserve the right to decline orders without liability to you where we believe payments are not authorized, the payment method is not valid or where we do not think you are authorized to use to utilize the relevant tender type. Your order is guaranteed to arrive in perfect condition at the specified shipping address provided. 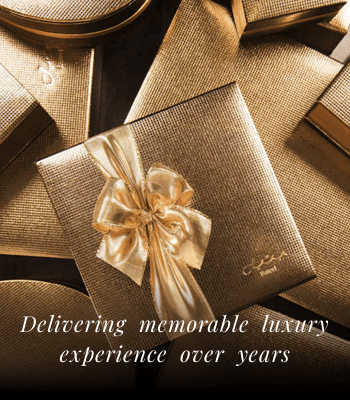 If you are not completely satisfied with the quality of your order upon arrival, please contact Customer Care (customercare@bateel.com or +971 48 858 737) within 48 hours of receipt, with a detailed description and photograph(s) evidencing your dissatisfaction, for assistance with a replacement or exchange. Due to the perishable nature of our products, all claims submitted without proper support documents will not be eligible for reshipment. Bateel reserves the right to limit replacements. The incorrect product was shipped. The customer is required to notify us within 48 hours of the refund request. Due to customs, legal, regulatory and certain practical restrictions applicable to orders placed for international delivery, some of our products may not be available for delivery to certain destinations outside the United Arab Emirates (UAE). We reserve the right to define what can and cannot be delivered to which destination. International credit card providers or banks will determine the exchange rate and may add an additional processing or administration charge in relation to such payment which international credit card holders will be liable to pay. We may suspend or cancel your registration immediately at our reasonable discretion or if you breach any of your obligations under these Terms and Conditions and the suspension or cancellation of your registration and your right to use our Website shall not affect either party’s statutory rights or liabilities. These Website Terms and conditions are governed by the federal laws of the United Arab Emirates and the laws of the Emirate of Dubai and all disputes arising here under are subject to the exclusive jurisdiction of the courts of Dubai, United Arab Emirates.